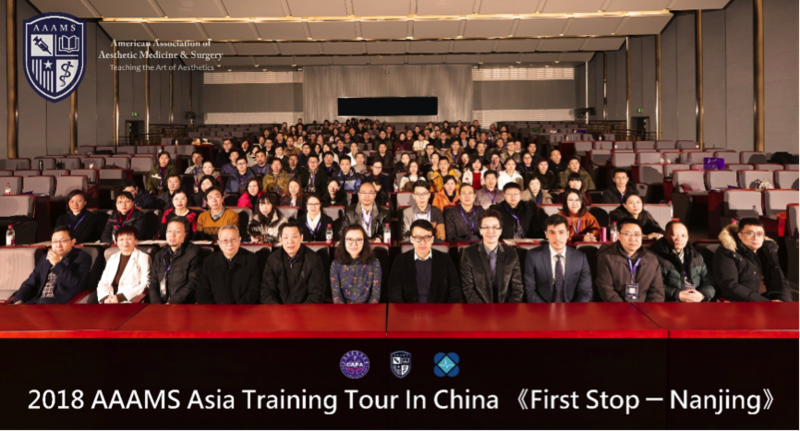 Last week, AAAMS Asia completed its first stop on the training tour in China. This event was co-hosted with Department of International Cooperation of CAPA (Chinese Association of Plastic and Aesthetics) and Jiangsu Province Hospital, the largest provincial hospital in Jiangsu, China. The main goal of the tour was to deliver AAAMS’s vision and philosophy to China and to introduce the full range of training courses. Despite encountering the biggest snowstorm in Nanjing within the least 10 years, there was still nearly 300 attendees that showed up to the meetings. The meeting went very well and most delegates were highly interactive during the training. There is a tremendous amount of anticipation for the next series of AAAMS trainings in China.